Tutorial - What is Understeer? When driving on the limits of grip it is important to understand how a car can behave at speed and what to do in those situations. Understeer is the most disliked handling characteristic but is also quite predictable and safe with track day cars often set up to understeer for safety reasons. In this guide we are going to demystify what understeer is, how it feels, the causes and how to correct it in the different phases of cornering. 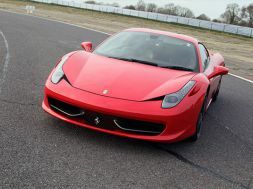 We will be looking at what the experts say about it and will touch on car set up. “The simple definition of understeer – also known as 'push' – is when your car doesn’t turn as much as you ask it to with your steering input. Quite literally the car is 'under-steering' due to an imbalance in grip between the front and rear of the car”. Understeer of course is the opposite of oversteer. Oversteer is when there is more traction on the front tyres whilst the rear of the car rotates causing you to turn more tightly and risking a spin. How can you feel understeer? You feel understeer mostly through the steering wheel. As you turn the wheel you will notice that it feels lighter than normal, especially as you attempt to turn further into the apex. 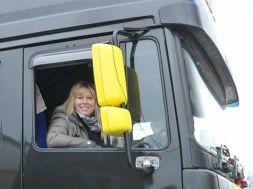 Scott Mansell of Driver61.com says the wheel feels less 'loaded'. ”The feeling of understeer is subtle. Imagine turning your car into a corner – the steering wheel will have a nice weight and feel to it. If, as you’re coming into the apex, the front tyres break traction and begin to slide, the turning resistance from the steering wheel will become less – it’ll feel less 'loaded'“. Over-rotating the steering wheel in this situation is not only futile when you are experiencing understeer but can also be dangerous. The extra lock can actually cause issues once the tyres find grip again. 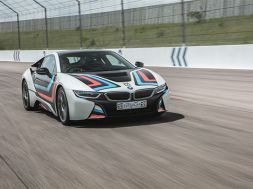 The wheels may well be pointing in a much more extreme angle and as the tyres grip-up again you could find yourself lurching dangerously into the inside of the track. How you use your steering wheel can be helpful in detecting understeer and a common mistake of amateurs is to grip the steering wheel too tightly. Tightly gripping the wheel can dampen your feel for subtle handling characteristics and make understeer less obviously detectable. Braking too hard on entry into a corner causes the front tyres to under-rotate and if you then turn you will experience some understeer. This is because the strong braking has caused the tyres to go beyond their ability to grip the road. This factor may either cause understeer or oversteer and it does depend on the driving technique and set up of the car as to which is the most likely outcome. Simple physics determines that there is a limit to how fast a car can go around a corner. Going beyond that limit ends in the car losing traction with the road. Either the front or rear-end could become loose and break traction with the road, pushing the car away from the apex or spinning into it. Understeer can happen when you apply power through the turn, causing the rear of the car to squat down and the front to lift. This lifting due to acceleration will reduce the grip the front tyres have with the track surface and cause some understeer. The car set up can also increase the chances of experiencing understeer at any point while cornering. As mentioned earlier, some track day cars are set up to favour understeer as this is safer, especially for novices. We are going to take a look at some ways you can use and develop driving technique's to correct understeer issues. There are three areas of the corner that understeer can happen and be corrected, the turn-in, the apex and the exit. Ensure you have a smooth style on entering the corner. Look at the apex as you are turning and maintain good vision to ensure you avoid any sheering with the steering wheel and the potential for losing front tyre traction. By keeping smooth you gradually transfer weight to the outside of the car and maximise the speed you can go before losing tyre traction. Avoid locking-up your front tyres on entry due to excessive braking. By judging your entry speed and not using up all the grip in the front tyres in braking you hold back some grip for correcting understeer. Ease-up on the brakes a little on entry, releasing some of the grip and making it available for turning the car. Avoid braking too little and bot having enough front grip on turn-in. Too little braking will cause the car to understeer due to a lack of weight at the front of the car and over-rotation of the front wheels. Trail-brake (Do not release the brake fully after the initial braking phase) a little into the apex and if you feel the wheel becomes light just lift on the accelerator a little, forcing the nose of the car down and increasing the grip on the front of the car. Be careful not to add too much traction to the front tyres as this can cause oversteer, when the rear of the car starts to rotate out which can end in a spin. There isn't much you can do to correct understeer from the apex to the exit of a corner with your driving technique. What Scott Mansell stresses in this circumstance is the importance of patience. Judge when best to apply acceleration if you are in an understeer situation as you hit the corner exit. 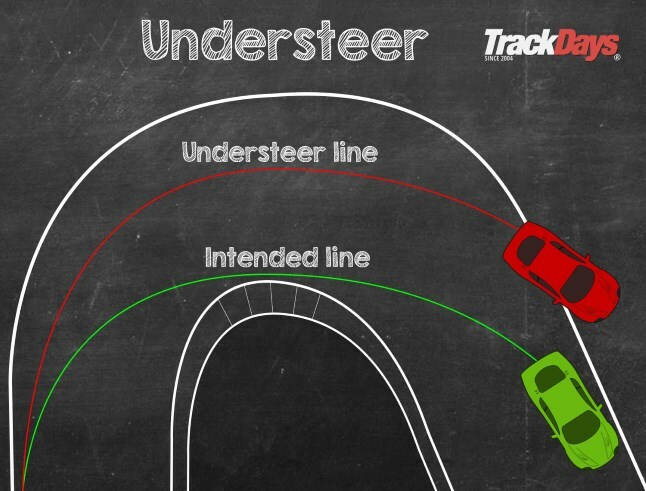 We hope you have found our guide on understeer helpful. 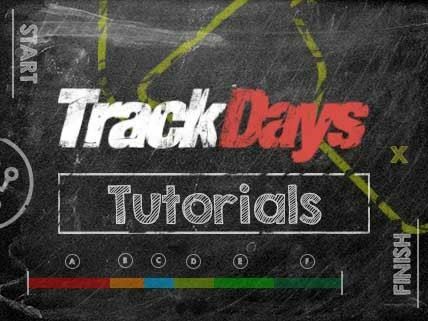 Please check back regularly for further track day tutorials.